Messalonskee also should be a contender in deep conference. 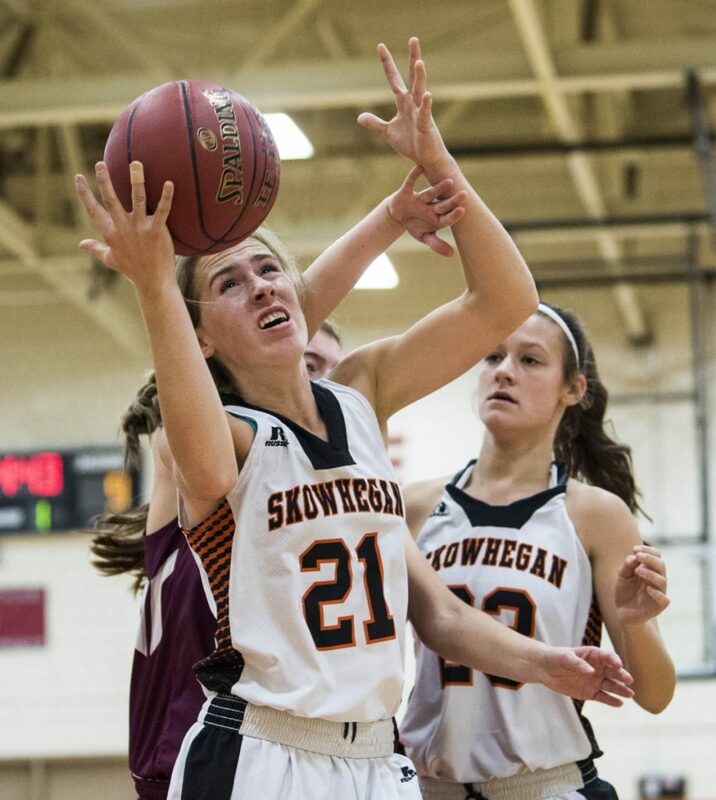 With five seniors who have played together since their youth basketball days, Skowhegan looks ready for a run at the regional championship. Not only do the Indians return Kennebec Valley Athletic Conference Player of the Year Annie Cooke, but also Sydney Reed, Mariah Dunbar, Sydney Ames and Alyssa Everett, all varsity players since their freshman year. They’ve also added 5-foot-11 freshman Jaycie Christopher, who will make an impact. All this has coach Mike LeBlanc hopeful yet realistic. The team’s running, pressing style led it to a 14-4 record a year ago, but there were a couple of stumbles LeBlanc hopes to eliminate. Defending regional champion Hampden graduated a few key players but does return a dominant post player in the 6-foot-2 Bailey Donovan. Messalonskee lost to Hampden a year ago in overtime in the regional final and has the talent to return despite the graduations of Ally Turner and Makayla Wilson. They return 6-2 junior Gabrielle Wener, who has already fielded a number of Division I offers. They’ve added her younger sister Grace (6-1) to go with a number of experienced players, including Alyssa Genness, Katie Seekins and Emily Parent. Lawrence brings back three starters in Brooke Lambert, Keagan Alley and Megan Curtis and expects to be in the mix. The Bulldogs are relatively young, aggressive and athletic. Nokomis returns three starters and has the size to compete with the bigger teams in Class A North. Senior Gabby Lord is very strong inside and is complemented by sophomore Allison Grosnik and Alexys Mayhew. The Warriors have experienced guards as well in Maci Reali and Maya Cooney. “We really haven’t been a team that gets up and down the floor, but that’s been our style (this year),” coach Michelle Paradis said. Mt. Blue has several good ballhandlers and a first team KVAC player in senior Lexi Mittelstadt, who averaged 17 points a game last year. The Cougars also return several experienced players and a balanced scoring attack. “It’s definitely the strongest group I’ve had,” coach Fred Conlogue said. Gardiner took a dip last season, going 9-10 and exiting in the A North quarterfinals, but should be poised for a bounce-back season. Aimee Adams, Jaycie Stevens and Bailey Poore played extensive minutes for the Tigers and are back to lead the way this winter, and coach Mike Gray said expectations are high, even after finding out that forward Kassidy Collins will miss her sophomore season due to injury. The rebuild continues at Cony, which has won only three games over the past two years. Coach Adam Rich’s group will play a more up-tempo style this season in an effort to find some wins, and look to utilize an inexperienced, but quick, group of sophomores and freshmen. Carly Lettre, Brooklyn Belanger and Linelys Velazquez will lead the Rams. Erskine is looking for a turnaround season as well. The Eagles went 4-14 last year, and will have six freshmen playing considerable minutes. They should be quick, however, and junior guard Jordan Linscott — who led the team in most categories, including scoring, and topped the KVAC in steals — is a key player coming back.